Woman in Musim Dress (WMD) – that memorable new twist given by Sheema Khan to the acronym that led to the war on Iraq – is turning into a major issue following Québec’s Human Rights Commission ruling on some Muslim women's preference to cover their heads or faces or both. The Commission recently ruled against the niqab and in tolerated the hijab. It concluded that religious beliefs cannot stand in the way of gender equality and didn’t accommodate the request of a woman wearing a niqab to be served by a woman when being photographed for the purpose of identification. On the other hand, it disallowed an appeal made by a client of the provincial health board who objected to being served by a woman wearing a hijab. The commission clarified that wearing the hijab had no bearing on the delivery of services. Following this, Québec tabled an unprecedented legislation requiring Muslim women to show their faces in all government locations, including schools, hospitals and daycares. The Globe and Mail commented, "The controversial move by the Charest government - which has said it is committed to secularism and gender equality - marks the first time it has chosen to craft laws to accommodate minorities." Québec is following the lead of many European nations. In Europe, mass, officially-encouraged Islamophobia is becoming a norm in the name of democratic values, gender equality and human rights. The debate is unlikely to lead to legislations that protect the minority; which one would justifiably argue is of paramount importance in any democracy. In the Canadian context, this development is particularly disconcerting because Canada has consciously tried to evolve into a society where no one is left behind. The issue is a major cause for concern not just for Muslim women but for all newcomers to Canada. At stake is the true meaning of multiculturalism – whether it is a mosaic or a melting pot. Jason Kenny occasionally floats the idea of turning the Canadian multiculturalism on its head by insisting that it should resemble the New York-type melting pot. Fortunately, the larger Canadian establishment maintains agreeable ambiguity on the issue and quietly encourages the mosaic form of multiculturalism. But let there be no doubt that the Québec ruling will pave the way for far-reaching changes in policy formulations across Canada and at all levels of government. As in Europe, the lawgivers will see the issue not for what it is – a religious minority’s cultural assertiveness. Rather, the issue is more likely to be seen from the perspective of the state’s right to determine values and apply them universally to homogenise the Canadian society. 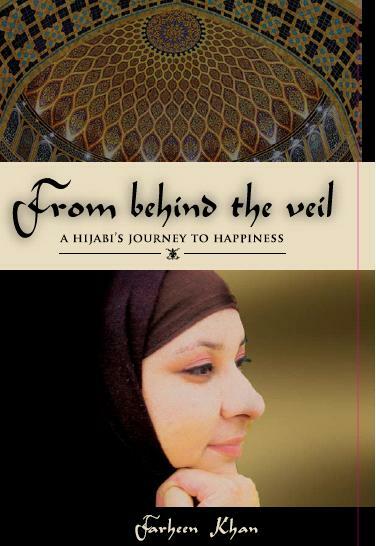 So, how do women who wear the hijab and the niqab feel about being the centre of suspicion? A slim but important book – From behind the veil – A Hijabi’s Journey to Happiness – by Farheen Khan narrates the trauma the author suffers after being assaulted by a stranger in a Toronto apartment building merely because she wears a hijab. Farheen suffers mentally and undergoes psychological and physiological changes alter her life and mind almost permanently. She boldly describes her helpless spiralling into loneliness and her valiant efforts to pull herself together. Farheen’s eventual success is heart-warming not merely because she is able to come to terms with her assault but also overcome her food allergies. Farheen is a hip-hop listening, coffee drinking, hijabi young woman that makes Canada what it is – a society that accommodates the other. That’s a precious heritage and shouldn’t be lost. I got to know of the book from Kundan Joshi, the young entrepreneur whose Joshi Inc designed the cover of the book. 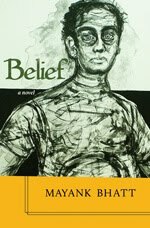 Burman Books has published it.